Sometimes you just can’t beat the original, and Land Rover Colorado Springs drives that home with our selection of the new Range Rover! Our inventory of new Range Rovers offers plenty of fantastic technology and interior options to fit every style and preference! 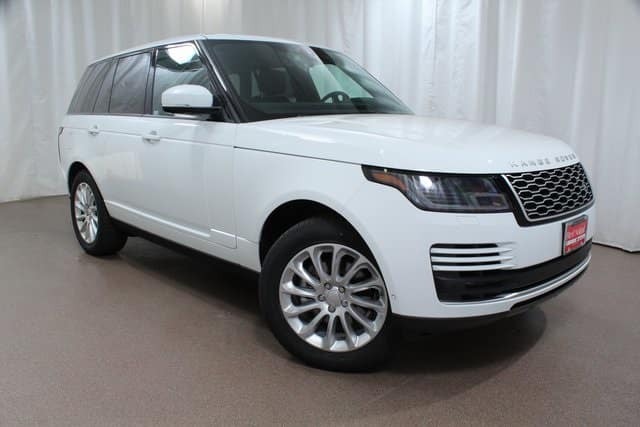 The 2018 Range Rover HSE we have in our inventory is fitted with a powerful V6 diesel engine which still gets an impressive estimated 22 MPG city/28 MPG highway fuel economy! With driver assistance technology like Blind Spot Assist and Lane Keep Assist, you know you will have extra protection driving in both the busy city and the wide open highway! If the 2018 Range Rover HSE or any of our other exciting Range Rover inventory sounds like the perfect vehicle for you, stop into the Land Rover Colorado Springs today and browse our great selection! Don’t miss a great opportunity to own a fantastic and reliable vehicle at a super price! Ask our sales associates about the Range Rover today!